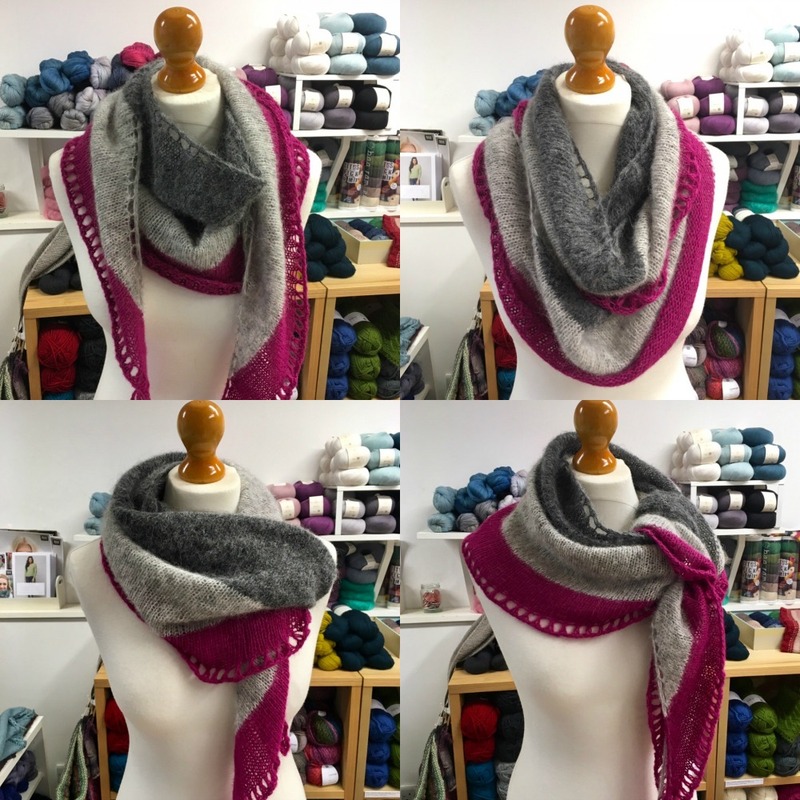 This stunning shawl is knitted in the new Rowan Alpaca Classic, a lightweight blend of Alpaca and Cotton. You can see the shades we have here plus turquoise and the bright pink used in the shawl. It's a free pattern, available in the shop. It's based on our laceweight and DK shawl and has a long shallow crescent shape - scarf like!